Past Canning Vale Toastmasters presidents John Cecchi, Vanessa Chang, Mark Richards (current president), Robyn Richards, Phyll Lightbody, Mike Palmer, Dennis Foo, Michele Naidu (Absent: Peter Jordan). 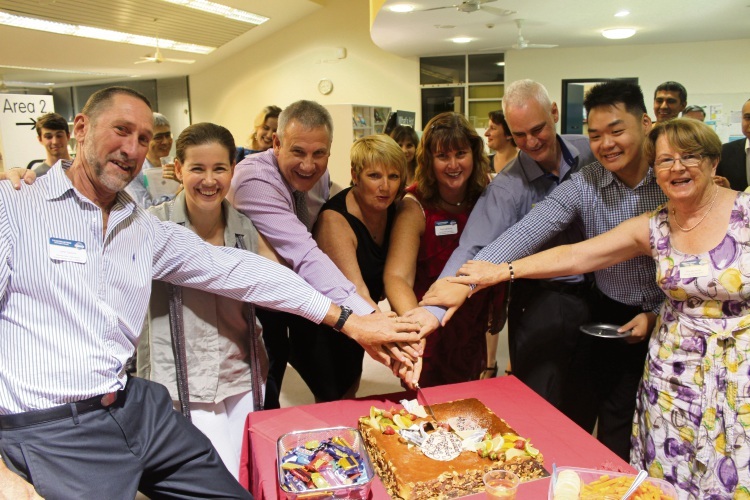 CANNING Vale Toastmasters have celebrated 10 years of helping people develop confidence and communication skills. The club’s 10th anniversary recognised the clubs past and present members and reflected on some of the success stories throughout their history. Toastmasters are a worldwide group of clubs who help members improve their communication, public speaking and leadership skills. Club president Mark Richards said the club had played an important role in giving people the confidence to believe they could succeed in both their personal and work lives. “Confidence improves the most out of people who come along, it goes from very low to very high and that allows them to be able to speak their mind in front of a group and lead with a bit more confidence in either personal or business life,” he said.